The Indian denizens of Asiatic Lion family have had a classified status of ‘Endangered’ on the IUCN Red List for long. 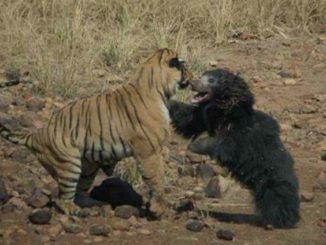 However, that might soon change as the brave big cats are putting up a winning fight in their struggle for existence. The golden big cats are thought to have parted away from their African cousins somewhere around 100,000 years ago. They once roamed free across all of South – West Asia. 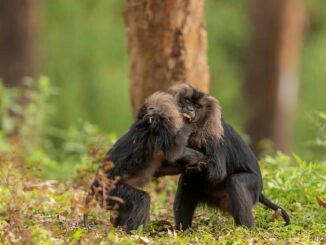 Today, their fun and frolic is restricted to the Gir Forest National Park in Gujarat. This small protected area of 1,412 sq. km is all they have to roam and breed around. This is not to say that Gir is, in any way, incompetent or insufficient in their protection and upbringing. In fact, it has recorded strikingly impressive growth in the population of Asiatic Lions over the last decade. People from all over India and also the neighboring countries visit Gir to catch a glimpse of these golden – haired beasts. They are Sasan Gir’s major tourist attraction. Hunting and human encroachment into habitat have been the major causes for their dwindling population. In the late 1960s, only 180 Asiatic Lions roamed in the jungles of Gujarat. Following a consistent decline in numbers, they were allotted the status of ‘Critically Endangered’ in the year 2000. This changed in the year 2008 when a steady growth in population motivated the conservationists to update their status to ‘Endangered’. A little short of a decade later, the 2015 Lion Census revealed a splendid rise in population. 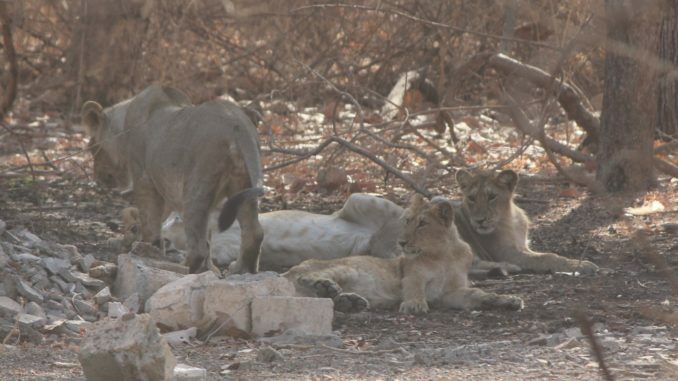 There were 523 lions sprawling in Gir. Now a celebration – worthy news has arrived from the Chief Minister of Gujarat, Vijay Rupani. He revealed that an unofficial count has found more than 600 lions in the Gir forest area. “Our efforts for lion conservation with the support of local people have yielded good results. The number of lions now in Gujarat has reached the 600 mark”, Mr. Rupani was heard quoting. 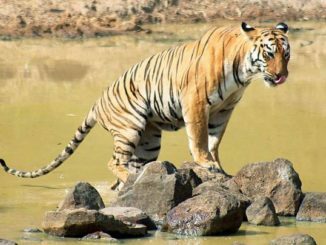 Mr. A. P. Singh, a state forest and wildlife conservationist, said that lion population in the state was growing at about two percent year. If the trend continues, which is being hoped and worked for, we shall see a further rise in numbers of these Gir denizens. 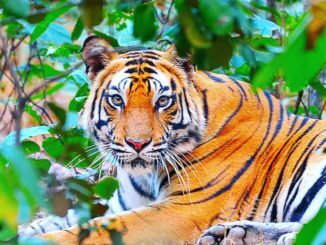 Gujarat’s Wildlife Board has laid the credit of the achievement to conservation schemes, well – trained staffs and vets. The farmers’ help in the recovery of numbers was specially mentioned since they do it at the cost of their own livelihood. The local population in and around Gujarat are tremendously tolerant of the lions in spite of repeated attacks on their cattle. Amidst the celebrations and credit bestowing for the accomplishment, the demand for the relocation of these lions is getting louder. Conservationists are gravely concerned and cautious of the unfortunate possibility of the Asiatic Lion population being wiped out by disease or natural disaster. Also, a concentration of large lion population in the same area increases the risk of human – animal conflict. In the wake of these concerns, they suggest that some of the big cats be relocated to another sanctuary. The next Lion Census is scheduled to be conducted in 2020.